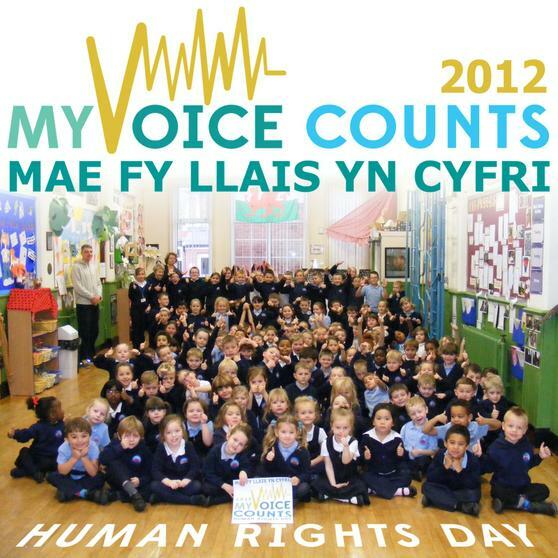 The theme of Human Rights Day 2012 is "My Voice counts" to encourage everyone around the world to take a more active role in society. 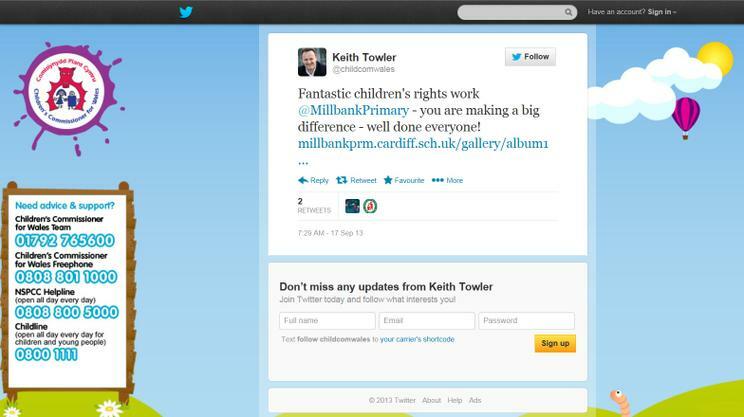 Millbank are well known for the children giving up their own time to work on community projects like the regular litter picks, road safety as well as campaigning on a whole host of issues from pollution to global education. One of the favourite children's rights is Article 12 "The right of a child to express his or her opinion freely and to have that opinion taken into account in any matter or procedure affecting the child." sometimes shortened to 'Pupils Voice'. 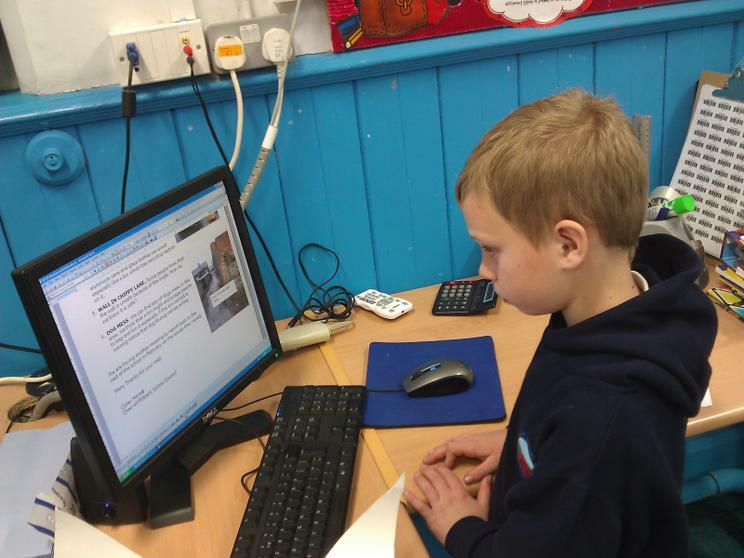 School Council reports on pupil surveys findings and actions in assembly and newsletter most terms, we even worked with other school councils to prepare a questionnaire for all young people in Cardiff. It is important to get get that opinion,but in order to maintain interest it is important that the children see that something is being done. So the theme of 'Making my voice count' really struck a chord with school council, ambassadors and all the work that they do. 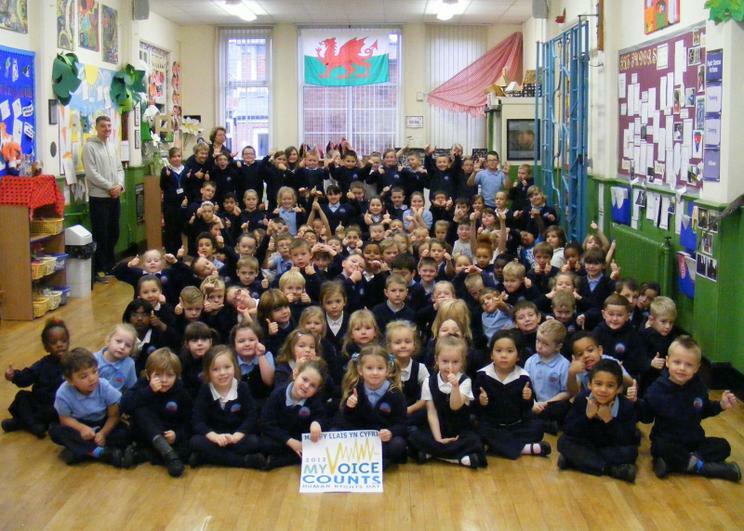 The childrens commissioner ambassadors had learnt a great deal when they worked on their Cardiff Castle project, so trying to get involved and change our world for the better is something we believe all children should do. 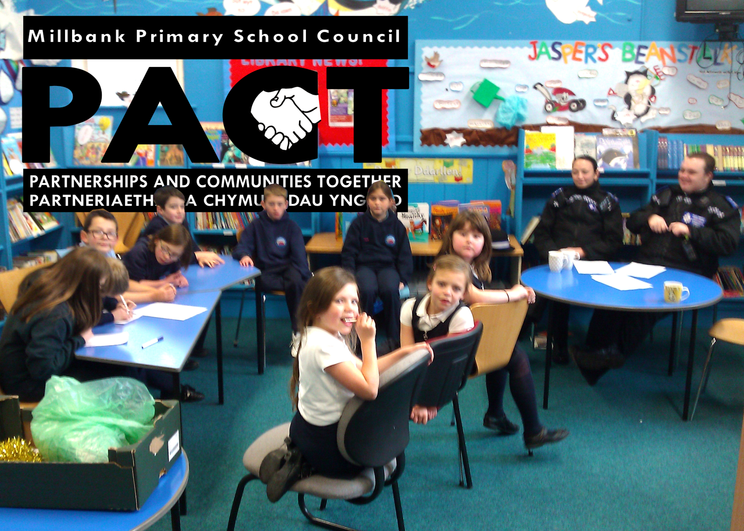 The PACT meeting was held on the Thursday, it was a pupil led project with staff just popping in through the lunch hour to see how things were going. 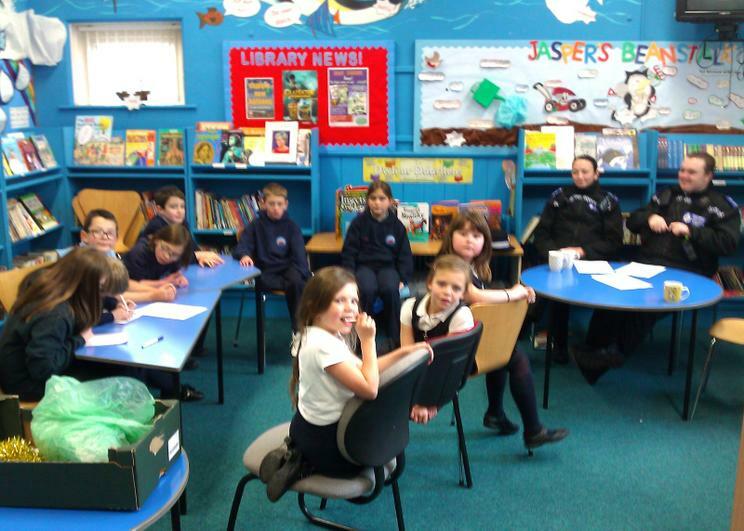 The adults said that they were very impressed with the skills of the chairman who worked hard to ensure that everyone had their say, making the adults raise their hands to have a turn to speak too. 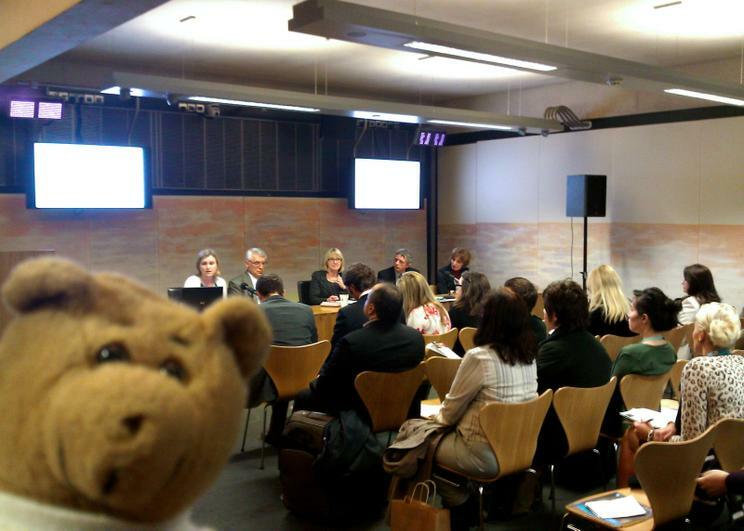 He kept the meeting moving along, and thought about the actions that might be needed, it was a busy lunch hour! 1. 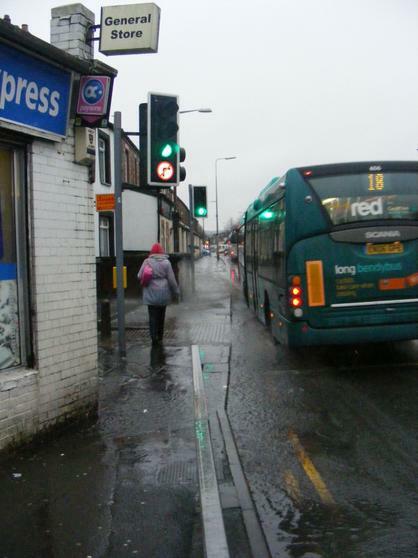 CROSSING COWBRIDGE ROAD One of the children said in the travel to school survey that they were worried about the lack of barrier on one side of the crossing on the busy A48, they also said that they got splashed and were wet because the splash guard had been removed when the railings were 'upgraded'. On the other side of the road there is no barrier at all. Next to the corner shop the pavement is narrow and does not drain well so rain collects and covers it to a depth of 6cm, (they measured it!) higher than a child's shoe. When prams and wheelchairs come along especially when they stop to use the crossing, people walk into the road to pass. 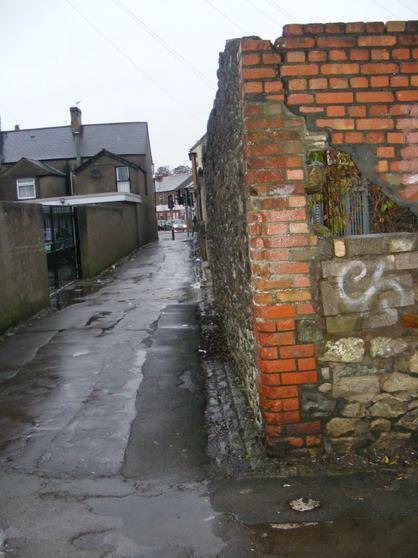 Pupils wanted to know" if barriers were needed on one side of the road why not the other?" It was also mentioned that a lot of money from the Welsh Government had been spent upgrading road safety near schools including work by this crossing. 2. ILLEGAL PARKING There were concerns about road safety and illegal parking but these were dealt with by PCSO Gareth enforcing the existing restrictions outside the school and putting reminders on the newsletter. Most parents who parked dangerously knew they were wrong as they drove away when the JRSO's approached. 3. CYCLING TO SCHOOL Lots of people said that they did not feel safe using their bikes to get to school, because the roads were unsafe and there were lots of potholes that meant you would suddenly fall off your bike. (adult bikes can cope better with potholes because they are bigger diameter!) Pupils had heard that there was to be a new cycle bridge linking up the school via Dyfrig Road, which they were looking forward to as they are keen on the Ely Bike Trail. Alas plans suggest that it completely bypasses this area. But there might be a lot more traffic congestion on the A48. 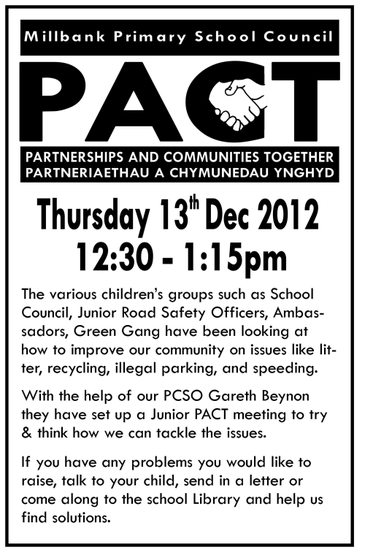 There were lots of talk about Quad Bikes on Trelai Park, people with guns and bullying on the play park too. 4. LITTER There is always lots of litter down the lane next to the school, the children hope that if a bin is provided people may start to get in the habit of using it. They have been asking for a while, it might be nice to have a separate section for recycled as most of the litter that the children collect is aluminium or plastic drinks containers. We'd like a poster or notice about Dog mess fines on it and a split bin would mean that the recycled materials would not be contaminated. We had been told by the Council we can buy a bin, but lots of the fund-raising activities we do are for Kenya and it might be better to use the resources we can raise there. 5. DANGEROUS WALL As we said several people have said that the old stone wall had been further vandalised and cracked and was dangerous, so we asked if someone could check on it to see if it was safe. 6. LIMITING SPEED OF CARS The JRSOs had put up posters and were asking parents about establishing a 20 mph scheme in the roads adjoining the school. Not many cars race down Clarke Street because of the bumps but cars and mini buses were often speeding along Arles Rd and Colin Way to race/beat the lights as they join Cowbridge Rd West. doing well over the 30 mph speed limit. Pupils learn lots of skills such as importing images from digital cameras and writing letters in class, but they give up their own time to put those skills to use writing a nice letter to our local Councillor. The Secretary General of the UN Ban Ki-Moon said "Vibrant civil society groups are among the keys to the well-being and functioning of any nation, and the United Nations deplores measures taken to suppress them. That is why, on this Human Right Day, the United Nations is highlighting the right to participate and the associated rights that make it possible – freedom of expression and opinion, and peaceful assembly and association." 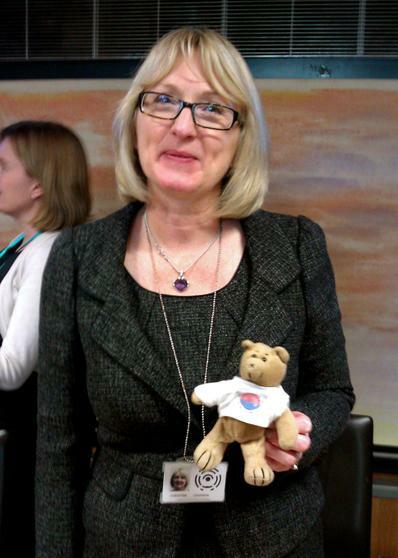 We are very proud that the Welsh Government has always promoted Children's Rights with the first Children's Rights Commissioner in the UK, and is the first part of the UK to make theUNCRC part of the Law for ministers. 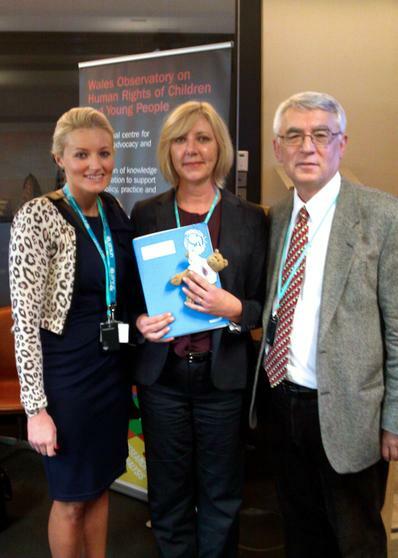 Sunday the 16th December 2012 marks 21 years since the UK government with John Major as the Prime Minister ratified the UNCRC, agreeing to promote it to the public (article 42) and ensuring that all schools "develop a respect for Human Rights..." in children (art 29). Sadly most people have not heard of the UNCRC let alone understand them or Human Rights which get a bit of a bashing in the popular press, often being deliberately misrepresented (Do you think having a right to own a cat is really one of the basic Human Right?). In 2011 the theme for the International Day of Peace was "Make your voice heard!" and we planted our peace tree at lunchtime, along with peace flowers and messages about. This again tied in nicely with our work.